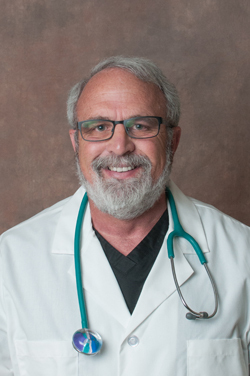 Dr. Ron Riegel earned his undergraduate degree in Chemistry from the University of Delaware and his doctoral degree in Veterinary Medicine from the University of Illinois. He served as a clinical instructor with the Ohio State University and is a member of the Academy of Human Neuromuscular Physiology. Dr. Riegel operated a multi-doctor private veterinary practice in Ohio for more than two decades. He founded and later sold Premier Equine Health Products, a company which manufactured and distributed products for equine athletes globally. Dr. Riegel has worked with therapeutic lasers since 1979. His background in laser technology encompasses human, companion animal, and equine disciplines. He has spent the last two decades lecturing nationally and internationally to human and veterinary healthcare professionals and is cofounder of the American Institute for Medical Laser Applications (AIMLA). Dr. Riegel has been a member of the American Society for Lasers in Medicine and Surgery since 2011, serves on the leadership of The Optical Society Photobiomodulation Technical group, and is a member of the North American Association of Photobiomodulation Therapy (NAALT), the World Association of Light Therapy, and the American Academy of Thermology. Dr. Riegel has authored or co-authored more than a dozen papers and books about laser therapy including: Clinical Overview and Applications of Class IV Therapy Lasers, Laser Therapy for the Equine Athlete, and Laser Therapy in the Companion Animal Practice. In 2015, Dr. Riegel was contracted by Wiley publications to create a comprehensive textbook on laser therapy in veterinary medicine. The resulting textbook, Laser Therapy in Veterinary Medicine: Photobiomodulation, edited by Ronald J. Riegel and John C. Godbold, Jr., should be available in Spring of 2017. The book was written by Dr. Riegel, Dr. Godbold Jr., and 38 colleagues; it contains 43 chapters, over 300,000 words, 242 photographs, and 27 illustrations.